Daniel French was active in mid-18th century Virginia. 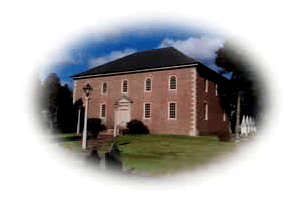 Daniel French, George Washington, and George Mason all went to the same church, the Truro Parish Church, now preferred to as the Pohick Church. It was built by Daniel French in Fairfax Co., VA, 1768-74. The designed was James Wren. William Bernard Sears was the finish carpenter and carver. The eighteenth-century Pohick Church was designed by James Wren, and built by Daniel French for Truro Parish. 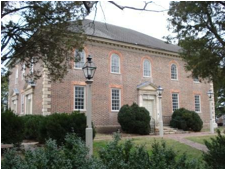 Completed in 1774, the brickwork was probably done by indentured white servant bricklayers and the woodwork by slave carpenters, all owned by French. George Washington, George Mason, and George William Fairfax were on the building committee. Open to the public. National Register site. Daniel French was b. 1723 and d. 1771 before the church was complete. He was a wealthy planter who lived at Rose Hill, his plantation west of Alexandria, contracted with the vestry to build the new church for 877 Pounds Virginia currency. Daniel also owned land in the vicinity of Mount Vernon, including a plantation on Dogue Run adjament to Mount Vernon that Washington Purchased in 1786. In 1772 the vestry voted to construct an 18� x 24� brick vestry house near the church. This information is from the book �George! A Guide to All Things Washington� by Frank E. Grizzard Jr.